As syria’s civil war continues unabated, thousands of children have fled across the border, terrified and desperate for safe refuge from the spiralling violence. These children have not found the protection and assistance they need – because winter is here and thousands remain without appropriate shelter. Winter has started its glacial spread across the region, but while the icy winds and driving rains pick up and temperatures begin to plummet, funding required to meet the needs of those most at risk is just not there.Thousands of children have already suffered through months of terrifying conflict and displacement, and are now at serious risk of succumbing to the cold. 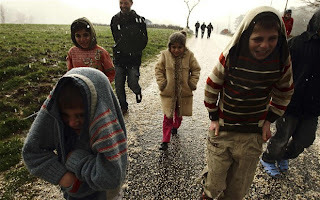 Children are particularly vulnerable to disease associated with the cold, and are in urgent need of protection as the bitter winter sets in.The plummeting temperatures and torrential rains could leave thousands of refugees facing serious health problems like hypothermia, frostbite and chest infections. 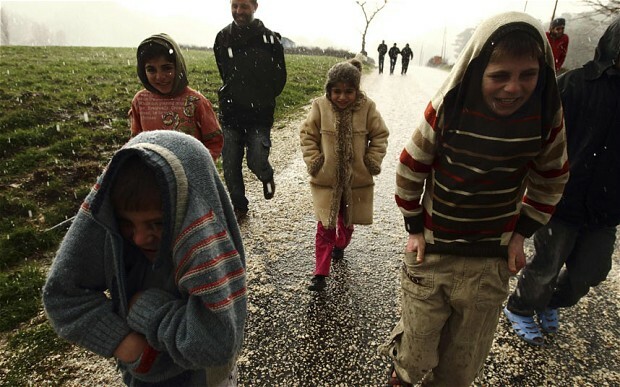 This could prove deadly for the most vulnerable children – some of whom are already getting sick from the cold. 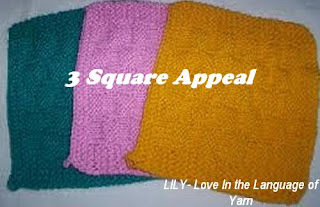 Help 'Lily' Love In the Language of Yarn Knit Squares to make blankets for these Syrian refugees especially the children.